This small guest house was designed to emulate a nearby cabin that was built in 1936. The logs for the structure still have the bark on them and are relatively small in scale. 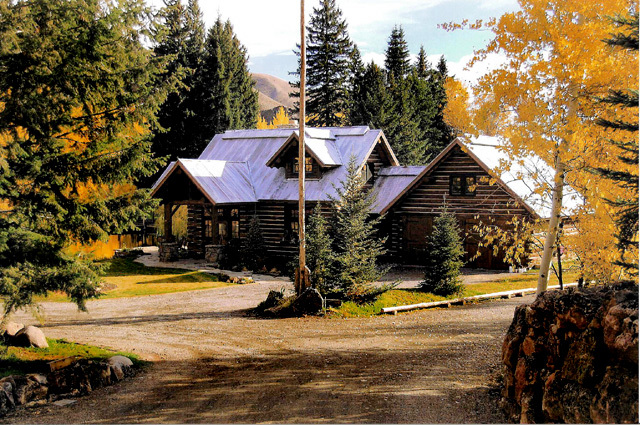 The 1,200 square foot cabin has an open living area with loft, one bedroom with bath, and an attached garage. 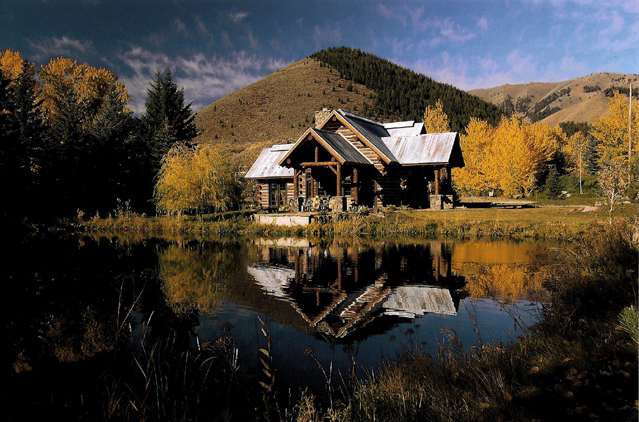 The cabin is located on the edge of a pond in River's Edge Ranch, Blaine County, Idaho.